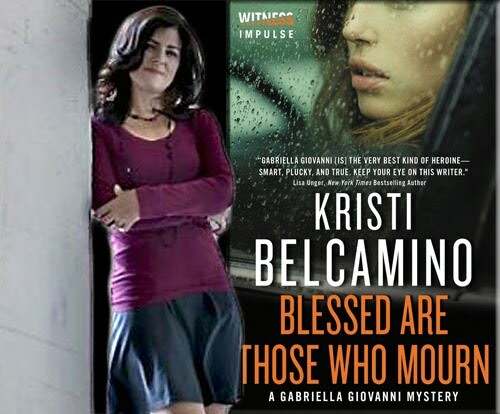 Today we have the pleasure of meeting up with author Kristi Belcamino to talk about Blessed are Those Who Mourn (29 September 2015, Witness Impulse) a Detective Mystery novel, book four of Gabriella Giovanni Mysteries. 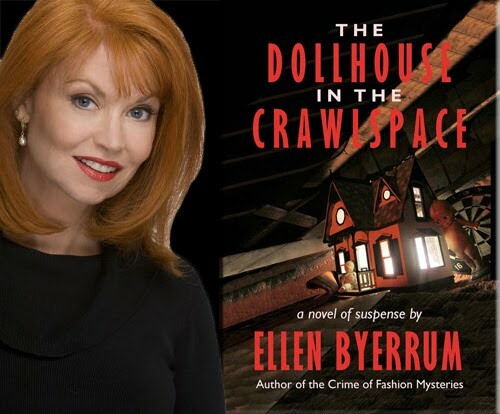 Today we have the pleasure of meeting up with author Ellen Byerrum to talk about The Dollhouse in the Crawlspace (28 July 2015, Lethal Black Dress Press, 396 pages) a Novel of Suspense . A big welcome to Ellen Byerrum, thank you for joining us! Here at BooksChatter we love music; do you have a music playlist that you used in The Dollhouse in the Crawlspace, or which inspired you whilst you were writing it? Following our Chapter Reveal, thank you for joining us for the tour for Blessed Are Those Who Mourn, a Detective Mystery novel by Kristi Belcamino (29 September 2015, Witness Impulse). This is the fourth book in the Gabriella Giovanni Mysteries series. PREVIEW: Check out the book's synopsis and the excerpt below, and as well as details about the whole series. Read the first three chapters with Amazon Look Inside. 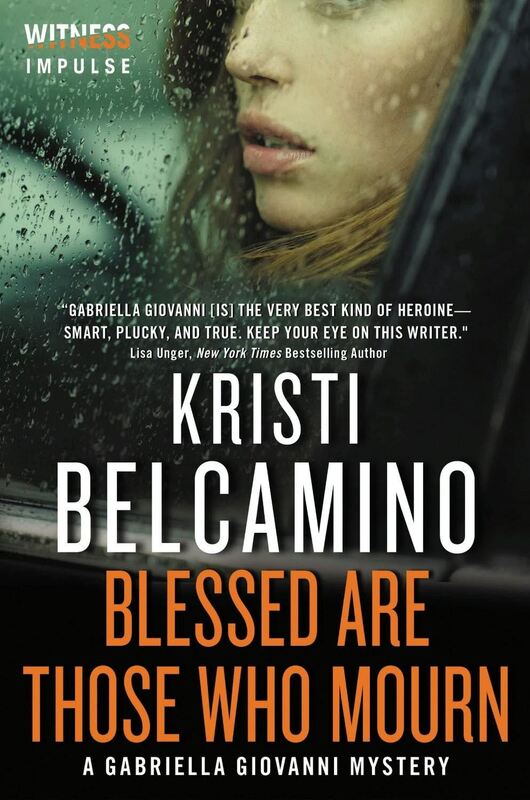 Author Kristi Belcamino will be awarding eBook copies of Blessed Are The Dead, Blessed Are The Meek and Blessed Are Those Who Weep to a randomly drawn winner via Rafflecopter during the tour. Please do take part: comment on our post and follow the tour where you will be able to read other excerpts (☀), interviews (ℚ), reviews (✍) and guest blog posts (✉). Thank you for joining us on the Virtual Book Tour for Dos Angeles, a PI Mystery by Michael O'Hara (1 September 2015, Strategic Media Books, 280 pages). This is the first book in the Paco Moran Mysteries series. 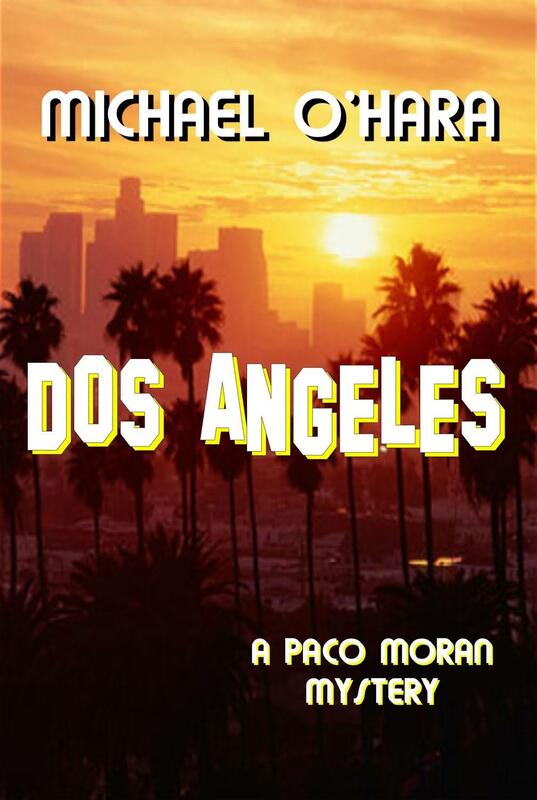 "Paco Moran's debut in Michael O'Hara's Dos Angeles is fast-paced, finely crafted, and full of surprises. 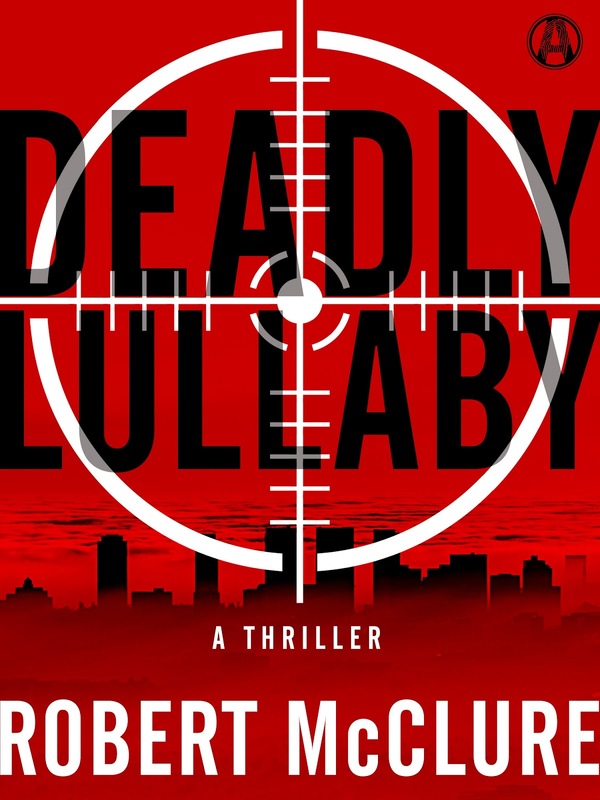 It's noir fiction for the 21st century, a helluva ride from the first page to the last. Here's hoping O'Hara brings Paco back very soon. I can't wait!" Peter Quinn, Winner of The American Book Award for Banished Children of Eve. Author Michael O'Hara will be awarding a $20 Amazon/BN gift card to a randomly drawn winner via Rafflecopter during the tour. Please do take part: comment on our post and follow the tour where you will be able to read other excerpts (☀), and reviews (✍). 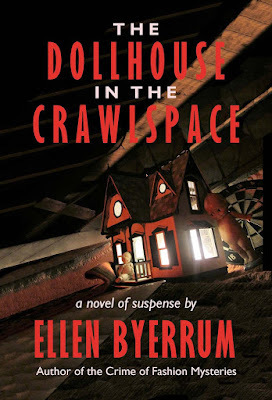 Thank you for joining us on the Virtual Book Tour for The Dollhouse in the Crawlspace, a Novel of Suspense by Ellen Byerrum (28 July 2015, Lethal Black Dress Press, 396 pages). PREVIEW: Check out the book's synopsis and excerpt below, and don't miss out on our Q&A with author Ellen Byerrum where she reveals all about the Dollhouse in the Crawlspace, including a timeless music playlist and the story behind her book cover. Read the first six chapters with Amazon Look Inside. The Dollhouse in the Crawlspace is FREE on Kindle Unlimited and Kindle Owner's Lending Library. Author Ellen Byerrum will be awarding a $25 Amazon/BN gift card to a randomly drawn winner via Rafflecopter during the tour. Please do take part: comment on our post and follow the tour where you will be able to read other excerpts (☀), interviews (ℚ), reviews (✍) and guest blog posts (✉). 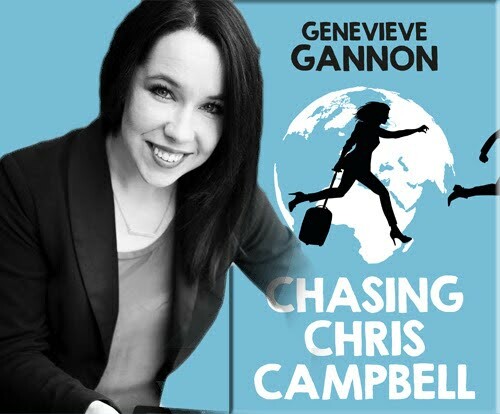 Today we have the pleasure of meeting up with author Genevieve Gannon to talk about Chasing Chris Campbell (1 June 2015, AUS Impulse, 275 pages) a Contemporary Romance. Hello Genevieve, welcome to BooksChatter and thank you for joining us. Here at BooksChatter we love music; do you have a music playlist that you used in Chasing Chris Campbell, or which inspired you whilst you were writing it? 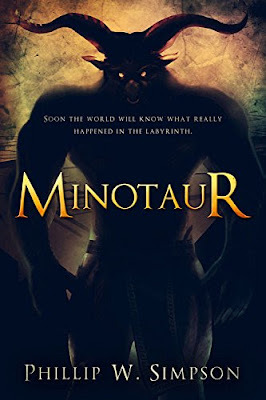 Thank you for joining us on the Virtual Book Tour for Minotaur, a Young Adult Mythological Historical novel by Phillip W. Simpson (29 September 2015, Month9books, 278 pages). PREVIEW: Check out the book's synopsis and excerpt below. Don't miss out on our Q&A with the author on Friday 2nd October! Read various excerpts with Amazon Look Inside. Author Phillip W. Simpson will be awarding one digital copy of Minotaur to five randomly drawn winners via Rafflecopter during the tour. Please do take part: comment on our post and follow the tour where you will be able to read other excerpts (☀), interviews (ℚ), reviews (✍) and guest blog posts (✉). 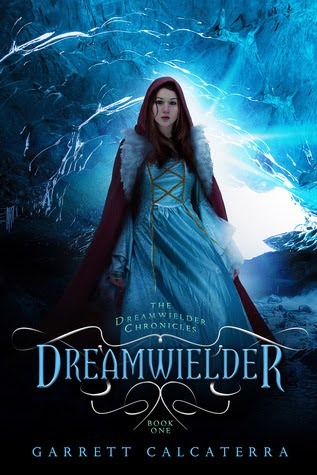 Thank you for joining us on the Virtual Book Tour for Dreamwielder, a Young Adult Fantasy by Garrett Calcaterra (1 December 2013, Diversion Books, 284 pages). This is the first book in the The Dreamwielder Chronicles series. PREVIEW: Check out the book's synopsis, trailer and excerpt below, as well as info about the newly released Souldrifter, and an opportunity to delve Inside The Dreamwielder Chronicles with the promotional Q&A with author Garrett Calcaterra. Read the first five chapters with Amazon Look Inside. To celebrate the release of book two, Souldrifter, grab your copy of Dreamwielder for ONLY 99 pence / cents. Author Garrett Calcaterra will be awarding one (1) ebook copy of Dreamwielder to a randomly drawn winner via Rafflecopter during the tour. Thank you for joining us for the Release Day Party for The Queen B* Strikes Back, a contemporary young adult coming of age novel by Crista McHugh (29 September 2015, Crista McHugh, 189 pages). 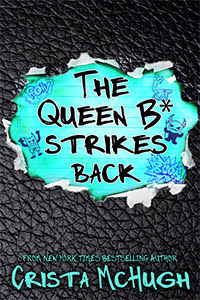 This is the second book in the The Queen B* series. Crista will be giving away a Kindle Fire Tablet to a lucky winner :-) Please do take part: comment on our post and follow the tour where you will be able to read reviews (✍). Alexis Wyndham isn't quite sure what to think about her "friendship" with star quarterback, Brett Pederson. Sure, he has more brains than the entire football team combined. Not to mention that fact he's a great kisser. Thank you for joining us on the Virtual Book Tour for Into The Darkness, a YA Dystopian / Post Apocalyptic Thriller by J. E. Plemons (5 August 2015, Dog Ear Publishing, 336 pages). 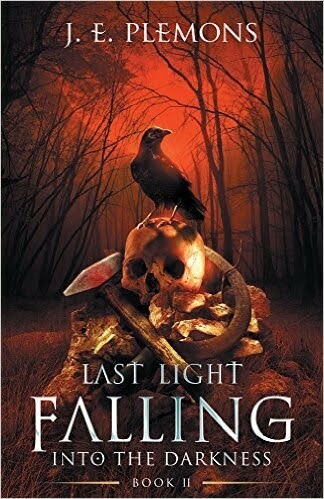 This is the second book in the Last Light Falling series. Author J. E. Plemons will be awarding a $5 Amazon gift card to a randomly drawn winner via Rafflecopter during the tour. Please do take part and comment on our post. 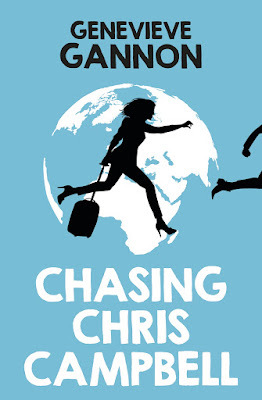 Thank you for joining us on the Virtual Book Tour for Chasing Chris Campbell, a Contemporary Romance by Genevieve Gannon (1 June 2015, AUS Impulse, 275 pages). Author Genevieve Gannon will be awarding an eCopy of Chasing Chris Campbell to 3 randomly drawn winners via Rafflecopter during the tour. Please do take part: comment on our post and follow the tour where you will be able to read other excerpts (☀), interviews (ℚ), reviews (✍) and guest blog posts (✉). 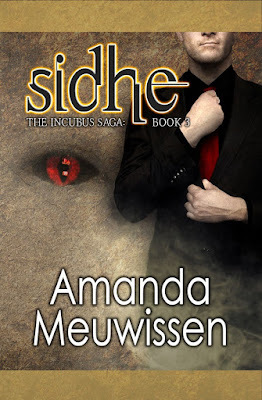 Today we have the pleasure of meeting up with author Amanda Meuwissen to talk about Sidhe (2 July 2015, BigWorldNetwork.com, 524 pages), an Urban Fantasy Gay Paranormal Romance, book three of The Incubus Saga. 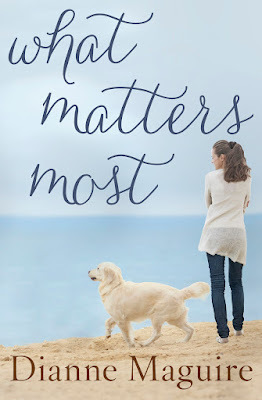 Thank you for joining us on the first day of the Virtual Book Tour for What Matters Most, a Contemporary Romance by Dianne Maguire (1 April 2015, AUS Impulse, 345 pages). Author Dianne Maguire will be awarding an eCopy of What Matters Most to 3 randomly drawn winners via Rafflecopter during the tour. Please do take part: comment on our post and follow the tour where you will be able to read other excerpts (☀). Thank you for joining us on the Virtual Book Tour for Curse of the Sphinx, a Young Adult Mythological Urban Fantasy by Raye Wagner (9 August 2015, R. Wagner, 344 pages). This is the first book in the Sphinx series. PREVIEW: Check out the book's synopsis, trailer and excerpt below, as well as videos about Greek Mythology in a modern world, and details of the prequel novella. Read the Prologue and the first two chapters with Amazon Look Inside. 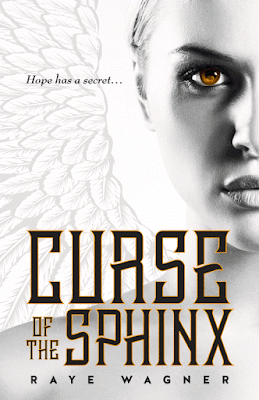 Curse of the Sphinx is FREE on Kindle Unlimited and Kindle Owner's Lending Library. Thank you for joining us on the Release Day Party for The Clairvoyant's Glasses, a Paranormal NA suspense/romance by Helen Goltz (28 September 2015, Atlas Productions, 255 pages). PREVIEW: Check out the book's synopsis and excerpt below, as well as the promo Q&A with author Helen Goltz, and the two teaser guest posts in which she talks about "The Agony of Love", and about "Naming a Character and Other Tough Decisions". Read the first six chapters with Amazon Look Inside. 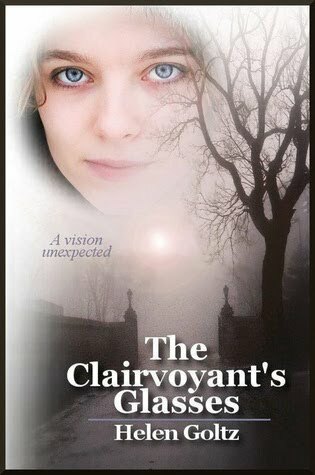 The Clairvoyant's Glasses is FREE on Kindle Unlimited and Kindle Owner's Lending Library. 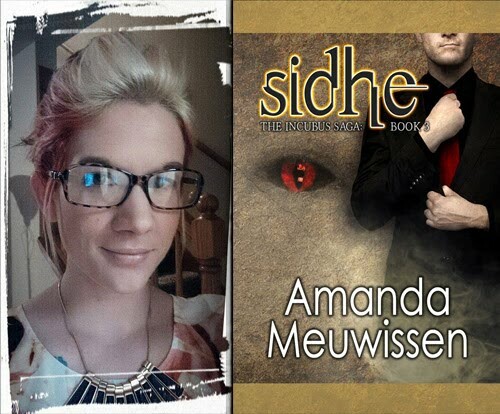 Thank you for joining us on the Virtual Book Tour for Sidhe, an Urban Fantasy Gay Paranormal Romance by Amanda Meuwissen (2 July 2015, BigWorldNetwork.com, 524 pages). This is the third book in the The Incubus Saga series. Author Amanda Meuwissen will be awarding eBook copies of all three books in the series to a randomly drawn winner via rafflecopter during the tour. Please do take part: comment on our post and follow the tour where you will be able to read other excerpts (☀), interviews (ℚ), reviews (✍) and guest blog posts (✉). 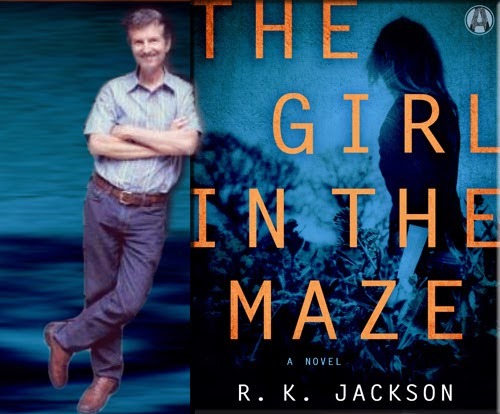 Today we have the pleasure of meeting up with author R.K. Jackson to talk about The Girl In The Maze (8 September 2015, Alibi, 292 pages) a Psychological Thriller, book one of the new Martha Covington Thrillers series. 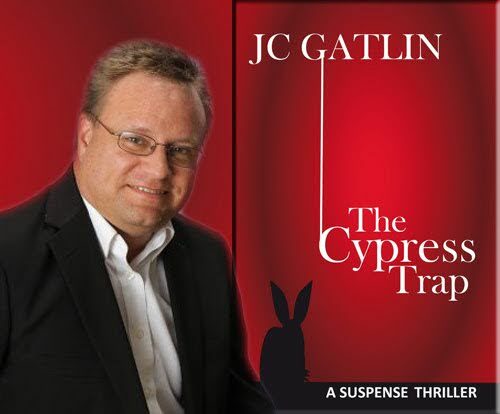 Today we have the pleasure of meeting up with author JC Gatlin to talk about The Cypress Trap (16 August 2015, Blurb Publishing, Inc, 234 pages) a a Suspense Thriller. A big welcome to JC Gatlin, thank for joining us on BooksChatter. What was the inspiration for The Cypress Trap? "I wanted to write a story with a hint of supernatural. 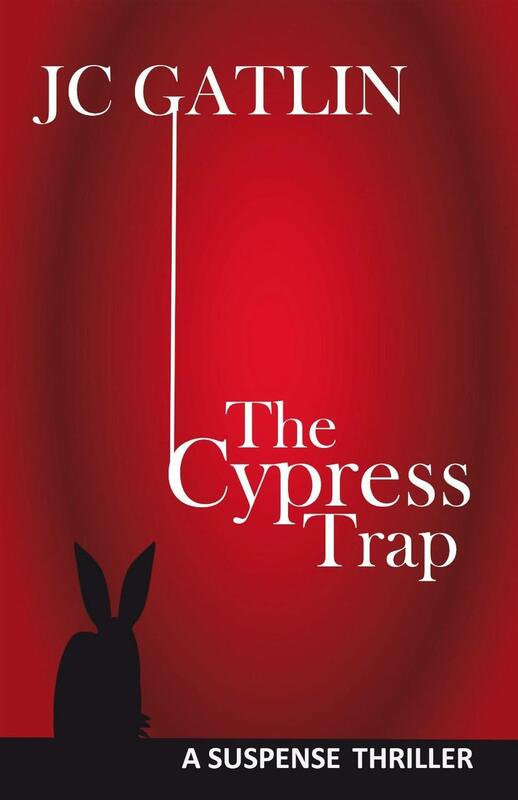 In The Cypress Trap, the events revolve around a rabbit’s foot that may bring good luck, or it may just be in the owner’s head. There are so many stories, whether its ghosts or magic, where the supernatural is a tangible, concrete force affecting the characters. But in real life, it’s never that tangible." 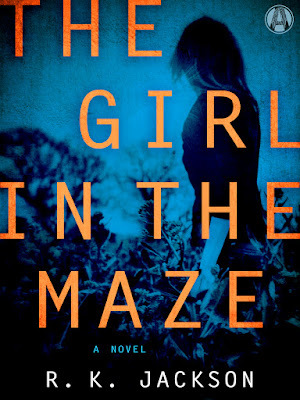 Thank you for joining us on the Virtual Book Tour for The Girl in the Maze, a Psychological Thriller by R.K. Jackson (8 September 2015, Alibi, 292 pages). PREVIEW: Check out the book's synopsis, trailer and excerpt below, as well as our Q&A with author R.K. Jackson. Read the Prologue and the first two chapters with Amazon Look Inside. Follow Martha Covington (the protagonist of 'The Girl in the Maze') on her own FB page. Thank you for joining us on the Virtual Book Tour for The Cypress Trap, a Suspense Thriller by JC Gatlin (16 August 2015, Blurb Publishing, Inc, 234 pages). PREVIEW: Check out the book's synopsis, trailer and excerpt below, as well as our Q&A with author J.C. Gatlin. Read the first three chapters with Amazon Look Inside. The Cypress Trap is FREE on Kindle Unlimited and Kindle Owner's Lending Library. Please do take part: comment on our post and follow the tour where you will be able to read excerpts (☀), interviews (ℚ), and reviews (✍). 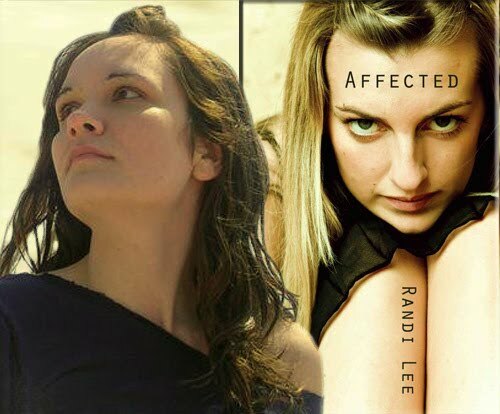 Today we have the pleasure of meeting up with author Randi Lee to talk about Affected (29 April 2015, Abuzz Press, 292 pages) a Suspense Mystery Thriller. A big welcome to Randi! Thank you for joining us on BooksChatter. What was the inspiration for Affected ? "The inspiration for my latest book, Affected, came to me about seven years ago. 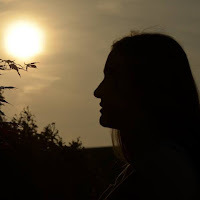 It began as a short story idea, perhaps 2,500 words, about a young woman who runs away from her life because her stressors were too difficult to handle. Over the years, I kept adding to that short story until there was so much story to tell that those 2,500 words became a trilogy of novels." Thank you for joining us on the Virtual Book Tour for Affected, a Suspense Mystery Thriller by Randi Lee (29 April 2015, Abuzz Press, 292 pages). PREVIEW: Check out the book's synopsis and excerpt below, as well as our Q&A with author Randi Lee. Read the first three chapters with Amazon Look Inside. Please do take part: comment on our post and follow the tour where you will be able to read other excerpts (☀), interviews (ℚ) and guest blog posts (✉). 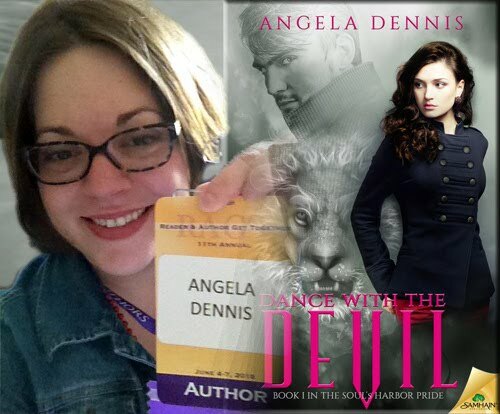 Today we have the pleasure of meeting up with author Angela Dennis to talk about Dance with the Devil (22 September 2015, Samhain Publishing, Ltd, 218 pages) a Paranormal Romance, book one of the Soul's Harbor Pride series. Hello Angela! Welcome to BooksChatter and thank you for joining us today. Here at BooksChatter we love music; do you have a music playlist that you used in Dance With the Devil, or which inspired you whilst you were writing it? 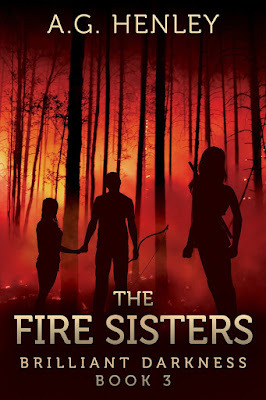 Thank you for joining us on the Virtual Book Tour for The Fire Sisters, a Young Adult Dystopian Post-Apocaliptic Fantasy by A.G. Henley (25 September 2015, A.G. Henley, 256 pages). This is the third and last book in the Brilliant Darkness series. PREVIEW: Check out the book's synopsis and excerpt below, as well as details about the whole series, and the promotional Q&A with the author. Read the first three chapters with Amazon Look Inside. The Fire Sisters is FREE on Kindle Unlimited and Kindle Owner's Lending Library. Author A.G. Henley will be awarding one (1) ebook copy of The Fire Sisters to a randomly drawn winner via Rafflecopter during the tour. Please do take part and comment on our post. 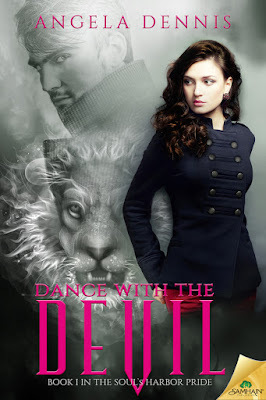 Thank you for joining us on final day of the Virtual Book Tour for Dance with the Devil, a paranormal romance by Angela Dennis (22 September 2015, Samhain Publishing, Ltd, 218 pages). This is the first book in the Soul's Harbor Pride series. PREVIEW: Check out the book's synopsis and our excerpt from Chapter One below, as well as our Q&A with author Angela Dennis. Read the first chapter and the beginning of the second with Amazon Look Inside. Author Angela Dennis will be awarding a $20 Amazon or Barnes and Noble GC to a randomly drawn winner via rafflecopter during the tour. A second winner will win a print or digital copy of the book (Print is US only, International winners will receive an eBook substitution in the format of their choice). Please do take part: comment on our post and follow the tour where you will be able to read other excerpts (☀), interviews (ℚ), reviews (✍) and guest blog posts (✉). 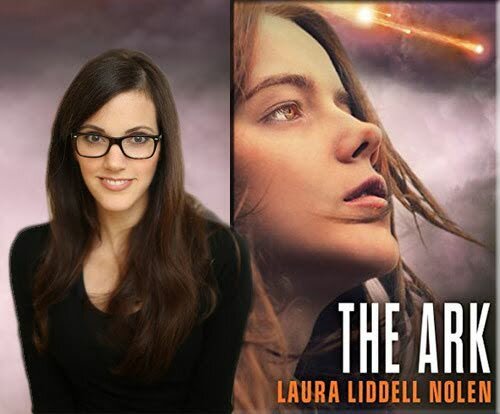 Today we have the pleasure of meeting up with author Laura Liddell Nolen to talk about The Ark (26 March 2015, Harper Voyager, 239 pages) a Young Adult Science Fiction novel, book one of The Ark Trilogy. What was the inspiration for The Ark? "I wanted the story to be reminiscent of an old-school space adventure, through the eyes of a young girl struggling for survival. I wanted her to be resourceful but not particularly wise yet, and to have a strong desire for redemption without fully understanding what that might involve. So an end-of-the-world scenario seemed like a good fit! Thank you for joining us on the Virtual Book Tour for A Haunting Desire, a historical romantic suspense novel by Julie Mulhern (28 July 2015, Entangled: Select Historical, 286 pages). Author Julie Mulhern will be awarding a $20 Amazon/BN gift card to a randomly drawn winner via Rafflecopter during the tour. Please do take part: comment on our post and follow the tour where you will be able to read other excerpts (☀), and reviews (✍). Thank you for joining us on the Virtual Book Tour for Hidden Scars a Contemporary Romance by Amanda K. Byrne (22 September 2015, Radiodemon Publishing, 247 pages). This is the first book in the Hidden Scars series. PREVIEW: Check out the book's synopsis and excerpt below, as well as several other teasers including Amanda's Fave Romantic Movies and the theme song for Hidden Scars. Read the first three chapters with Amazon Look Inside. Author Amanda K. Byrne will be awarding a $20 Amazon gift card to three randomly drawn winners via Rafflecopter during the tour. Please do take part and comment on our post. 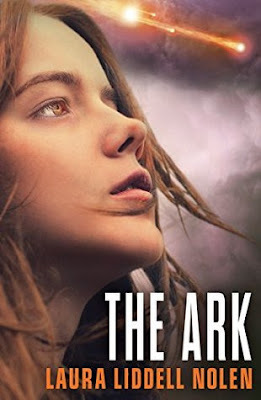 Thank you for joining us on the Virtual Book Tour for The Ark, a Young Adult Science Fiction novel by Laura Liddell Nolen (26 March 2015, Harper Voyager, 239 pages). This is the first book in the The Ark Trilogy. 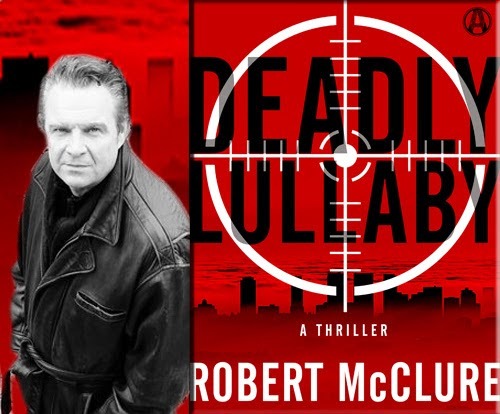 PREVIEW: Check out the book's synopsis and excerpt below, as well as our Q&A with author Laura Lidell Nolen.. Read the first three chapters with Amazon Look Inside. Author Laura Liddell Nolen will be awarding one (1) ebook copy of The Ark to a randomly drawn reader of our blog via Rafflecopter. Please do take part: comment on our post and follow the tour where you will be able to read other excerpts (☀), interviews (ℚ), reviews (✍) and guest blog posts (✉). 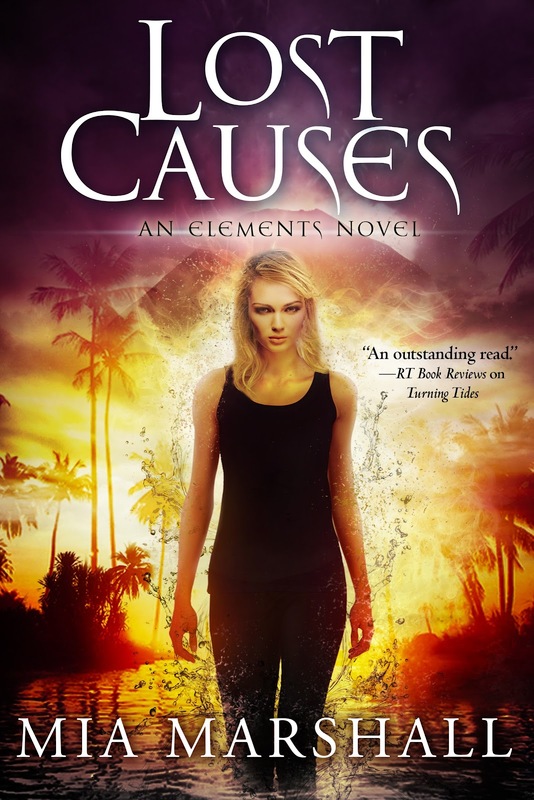 Thank you for joining us on the Virtual Book Tour for Lost Causes, an Urban Fantasy by Mia Marshall (22 September 2015, Mia Marshall, 354 pages). This is the fourth book in the Elements series. Sign up to Mia Marshall's newsletter and get a FREE prequel novelette, Strange Fires. Download book one, Broken Elements FREE!. PREVIEW: Check out the book's synopsis and excerpt below, as well as full details of the series Read the first three chapters with Amazon Look Inside. Author Mia Marshall will be awarding a $50 Amazon/BN gift card to a randomly drawn winner via Rafflecopter during the tour. Please do take part: comment on our post and follow the tour where you will be able to read other excerpts (☀), and reviews (✍). 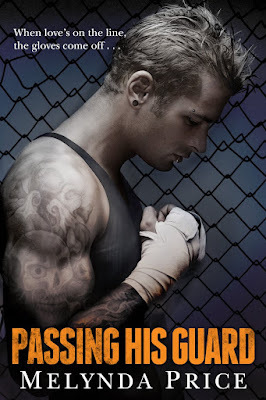 Thank you for joining us on the Virtual Book Tour for Passing His Guard, a New Adult Contemporary Romance by Melynda Price (25 August 2015, Montlake Romance, 402 pages). This is the second book in the Against The Cage series. PREVIEW: Check out the book's synopsis and the Prologue excerpt below, as well as details about the whole series, including a teaser about the upcoming third book. Read the first two chapters with Amazon Look Inside. Passing His Guard is FREE on Kindle Unlimited and Kindle Owner's Lending Library. Author Melynda Price will be awarding two key chains featuring Passing His Guard book cover, or a paper back copy of the book, or one MP3 and one Audiobook, or one of two $10 Amazon Gift Cards to six randomly drawn winners via Rafflecopter during the tour. Please do take part and comment on our post. 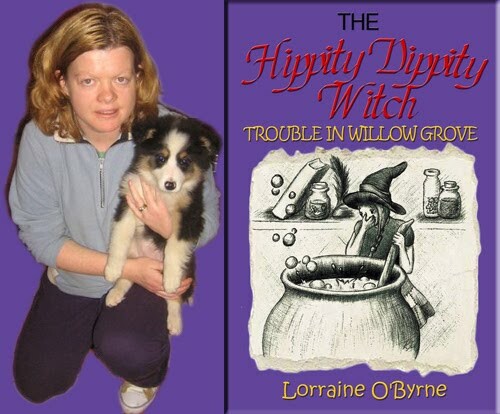 Today we have the pleasure of meeting up with author Lorraine O’Byrne to talk about The Hippity Dippity Witch (3 August 2015, Updrift, 132 pages) a Middle Grade novel, for ages seven to eleven, book one of Jenny's Adventures in Willow Grove series. Hello Lorraine, welcome to BooksChatter and many thanks for joining us today! What was the inspiration for The Hippity Dippity Witch? 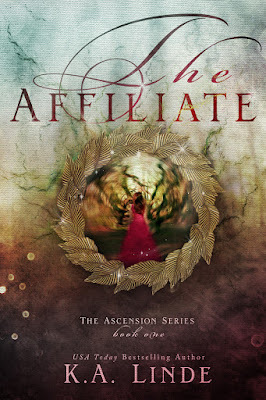 Following the Release Day Party on 15 September, thank you for joining us on the Virtual Book Tour for The Affiliate, a Young Adult Fantasy by K.A. Linde (15 September 2015, K.A. Linde Inc., 339 pages). This is the first book in the Ascension series. PREVIEW: Check out the book's trailer, playlist and excerpts below. Read the Prologue and the first three chapters with Amazon Look Inside. Author K.A. Linde will be awarding a $100 Amazon gift card to a randomly drawn winner via Rafflecopter during the tour. Please do take part: comment on our post and follow the tour where you will be able to read other excerpts (☀), reviews (✍) and guest blog posts (✉). 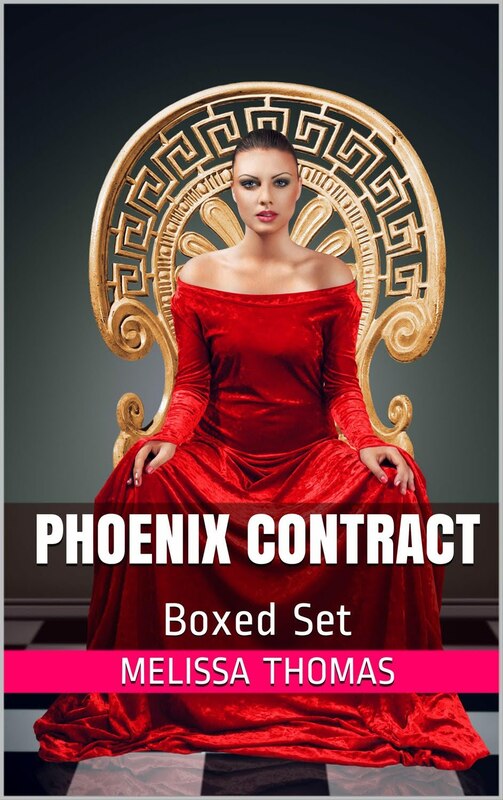 Thank you for joining us on the Virtual Book Tour for Phoenix Contract, a New Adult Paranormal Fantasy by Melissa Thomas (19 June 2015, Melissa Thomas, 334 pages). This is a box set comprising of books 1 to 5 in the Fallen Angel Watchers series. The individual parts are available for FREE download on Amazon until 25 September 2015! Author Melissa Thomas will be awarding a $20 Amazon/BN gift card to a randomly drawn winner via Rafflecopter during the tour. Please do take part: comment on our post and follow the tour where you will be able to read other excerpts (☀) and reviews (✍).